The secret to a healthy smile involves more than just brushing and flossing at home. You should also see your dentist at least twice a year for a cleaning and checkup. Routine visits allow us to keep your teeth and gums healthy to lower your overall dental expenses. Unfortunately, many people delay their appointments because they do not want to spend money unless it is necessary. Now, you can get the care you need with Delta Dental. As your La Porte Dentist, we work with your insurance company to deliver the services you need for minimal out-of-pocket expense. 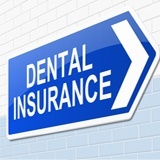 Dental insurance is built on a foundation of prevention to lower your overall dental costs. Semi-annual appointments for a cleaning and checkup allow us to keep your teeth and gums healthy. This helps to prevent the need for a costly or invasive treatment down the road. You can save $8 to $50 on restorative and emergency fees for every $1 you spend on prevention. Delta Dental makes it easy to maintain your preventive appointments because they are the nation’s largest dental network. They strive to provide the cost-savings opportunities you need for optimal oral health. After paying your monthly premiums and your annual deductible, you have access to comprehensive coverage to ensure your smile lasts for a lifetime. It is best to visit an in-network dentist in La Porte to make the most of your coverage, like Region Dental. We have pre-negotiated rates with Delta Dental to lower the amount you need to pay. We will help you maximize the value of your annual benefits, even if that means splitting your treatment over calendar years to stay within your yearly limits. You still have the freedom to visit any dentist who accepts your insurance, even if they are outside of your network. We are happy to help you utilize your insurance if you are out of your coverage to get the healthy smile you deserve. We understand dental insurance can be confusing, which is one reason less than 3% of Americans meet their annual coverage. We do not want to see you lose the opportunity to get the care you need for discounted rates. Our team member, Donna, is here to help you. Supported by years of experience in the dental field, she understands the ins and outs of dental insurance. She works on your behalf with Delta Dental to file the claims and paperwork you need for reimbursement. Donna takes the time to explain how your benefits are being used to cover your treatments and discuss your payment options for any remaining balance. You can get the comprehensive, affordable care your smile needs with Delta Dental. Contact Region Dental today to learn more about your coverage or to schedule an appointment.